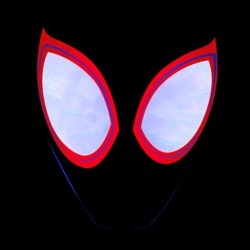 Spider-Man: Into The Spider-Verse Soundtrack is the soundtrack to the film, released by Republic Records on December 14, 2018. We have no doubt the soundtrack will win you over. The vibes you get on it is consistent, the raps are solid, and the melodies were absolutely top notch. Like the Black Panther soundtrack before it, the film understands its cultural relevance, the moment it speaks to, and the world it must represent, and does so, making it one of the best hip-hop-oriented film soundtracks ever created. The soundtrack is just as energetic as the film itself. The soundtrack adds a level of depth that is uncommon in many superhero movies. This is a film that’s effortlessly cool, especially with a soundtrack that features Juice WRLD, Vince Staples, Lil Wayne, and more. With its graffiti-strewn settings and of-the-moment soundtrack, this is as up-to-date a Spider-Man entry as there's ever been. The wall-to-wall soundtrack is fun.